Silk flowers have been a mainstay for decorating for a very long time. These carefully crafted flowers are often so authentic looking that you have to touch them to realize that they are not real. 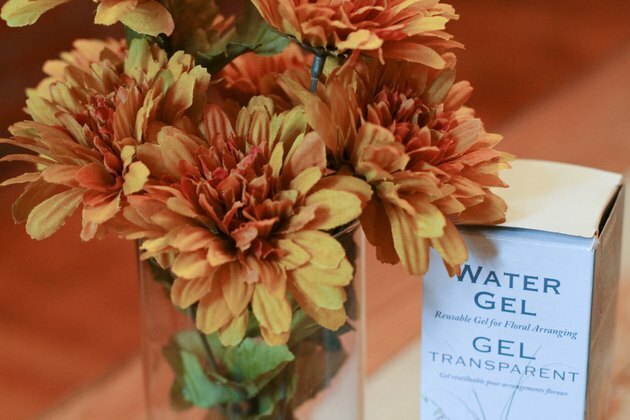 One of the newest ways to display silk flowers is to position the flower in a transparent vase and then partially fill the vase with a suspension fluid that creates the illusion of water. This adds another dimension of realism to the arrangement, making this technique quite popular. 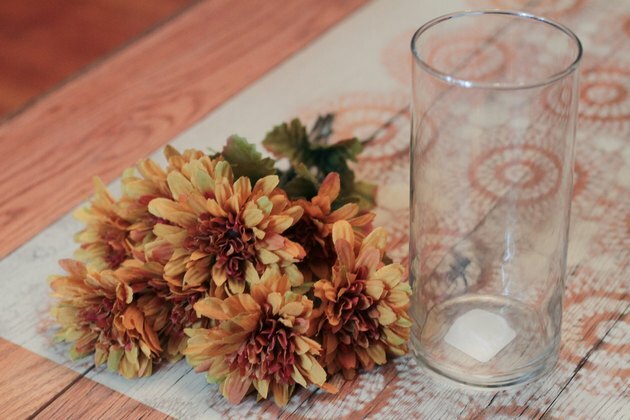 Select a transparent vase that suits the size and type of silk flowers that you will be arranging. Use a tall vase for larger flowers with long stems and a smaller vase for smaller flowers. Use wire cutters to trim the stems as necessary. 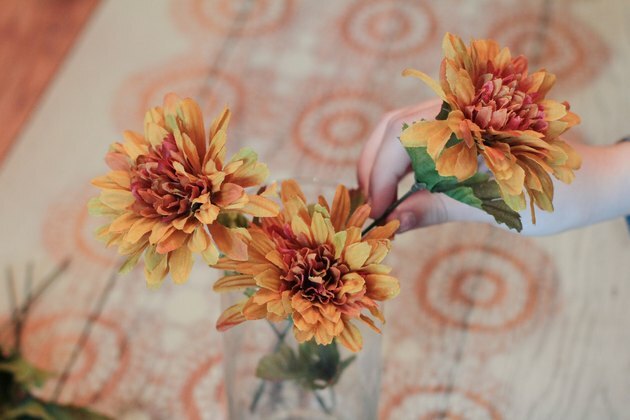 Arrange the silk flowers in the clean vase. Keep your tallest flower in the center for arrangements that will be seen from all sides and at the back for one sided arrangements. 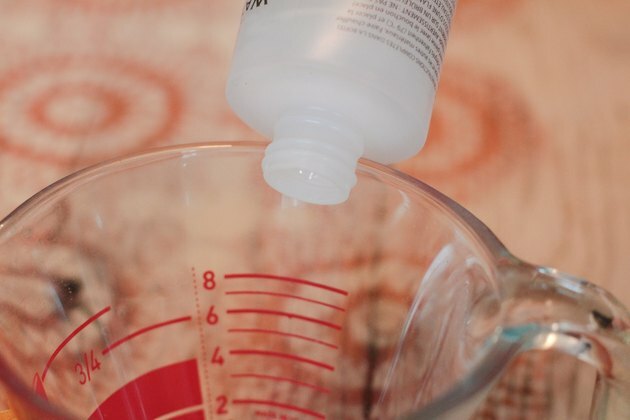 Pour the gel into a four-cup glass measuring cup and heat in your microwave until the gel is softened to a liquid. The time will vary depending on your product and your microwave. This usually takes only a couple minutes. 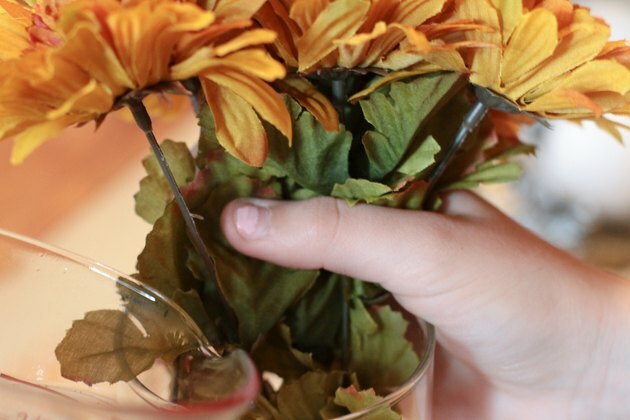 Press your arranged flowers slightly to the side so that you can pour the faux water (gel) into the vase without dribbling it on the sides of the vase. Fill the vase just enough that it looks realistically like water. 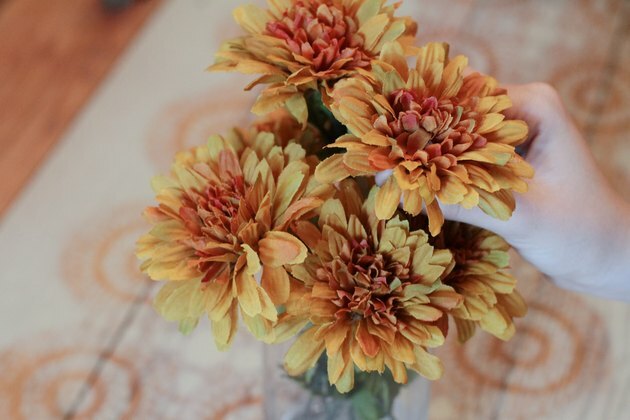 Reposition your flowers into the position you prefer (do not remove them from the gel water). Allow the arrangement to cure for 24 hours.